Introduces first-year students to major concepts in Environmental Studies. Students conduct original research and learn how to write a scientific research paper. A sophomore level course that focuses on identifying solutions to the major conservation problems facing global oceans. Students critically evaluate solutions to particular marine conservation problem, identifying the one most effective solution. Students learn about the major marine community types and factors controlling their structure and distribution. A major theme of the course is how to ask good research questions; in teams, students write their own NSF-style research proposals. A course for juniors and seniors that covers essential concepts in managing marine fisheries. As a class, we use data from successfully managed US fisheries to answer the question, "why are some fisheries sustainable?" A junior level course that focuses on Maine land-, river- and sea-scapes, addressing long term ecological change and restoration potential. As part of their final research project, students contribute to "The Historical Ecology Atlas of Maine." An immersive travel course that introduces students to concepts and methods in coral reef ecology and conservation, taught during the January term. 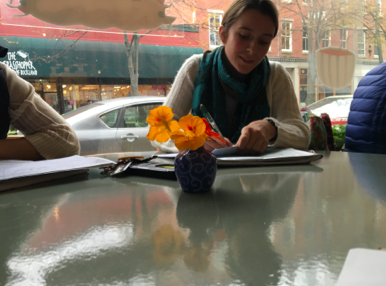 An intensive research course for Environmental Studies seniors that culminates in a final class report. Past topics have included Climate change effects on Maine's fisheries, Long term change in coastal Maine, and Sustainable seafood systems in Maine. Several projects begun in this course have led to student co-authored publications (see Publications page). 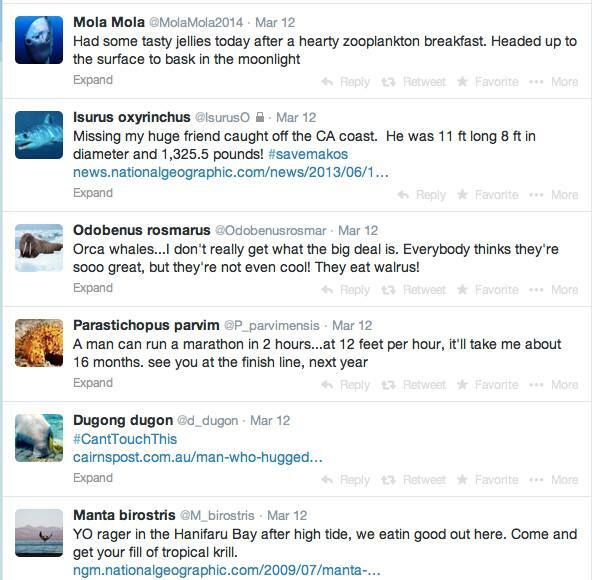 Students give voice to marine species... on Twitter! ...and use mental modeler software to understand perceptions of change.